Managing the goings-on on a construction site is challenging enough without the having to worry about security risks at the same time. Any building site runs the risk of theft or damage, at any point throughout the working day, or even during the night or weekends. This is where our construction and building site security services, part of our range of Professional Security Services, come in – to give you peace of mind that your assets are being protected, even when you’re not around to do so yourself. 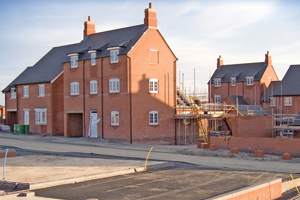 Our company, which provides Construction Guarding Companies In Colchester, hires only professional security teams, which have dedicated personnel and will integrate your existing CCTV recording and monitoring, alarm systems and our personnel to provide you with a water-tight security service. We can also install clock-in devices to monitor and ensure effective guard patrols as well as provide written records of all visitors, contractors arriving and leaving, and any activity deemed suspicious. easily be taken care of by a well-trained and accredited security team, which is what we offer.